Headaches, light sensitivity, difficulty reading, poor concentration. These are just some of the symptoms of, well, a lot of different problems, which is why getting Irlen syndrome diagnosed can be a long, frustrating journey. My daughter Regan was diagnosed with severe Irlen syndrome one week after her seventeenth birthday after just beginning her senior year of high school. She had been struggling mightily in school since about sixth grade, and we did not know why. I had her vision checked, but she has perfect vision. We bought low magnification reading glasses anyway, but they didn’t help. She hated reading and refused to do it unless she was absolutely forced to. She suffered daily from headaches and frequent migraines. She was exhausted and took naps every day after school. Her self-confidence suffered from feeling so inept in the classroom, regardless of believing she should be “smart enough” to be able to function like her classmates. No teacher, aide, or anyone at any school she ever attended even noticed her struggles—at least not enough to address them. We heard about Irlen syndrome during Hurricane Harvey, when a friend happened to mention it as we helped them clean out their flooded home—their son, who was also helping, had forgotten his glasses with Irlen-tinted lenses. They started to describe his symptoms to us. To my shock, I recognized every single one, as my daughter had been describing them to me for years! Symptoms vary by individual and will not come and go. 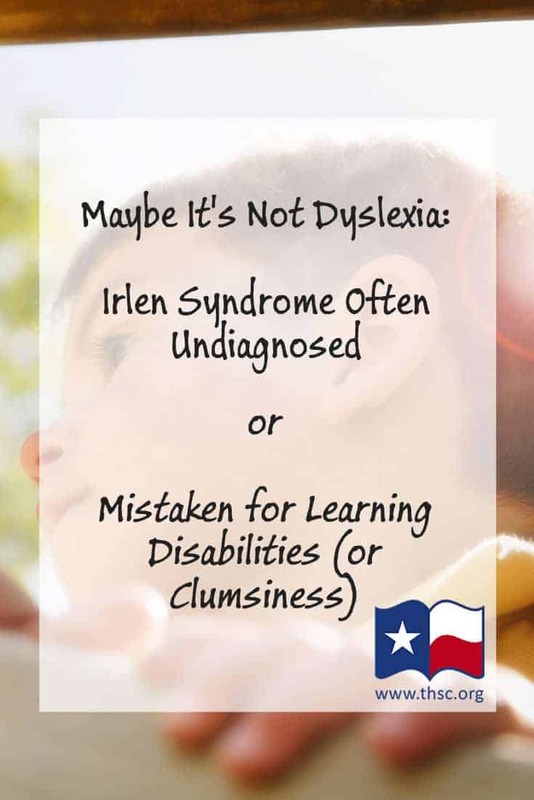 Until corrected, Irlen syndrome can be a lifetime barrier to learning and performance. We had no idea there was such a thing, and I was so excited to have my daughter tested, which we did as soon as possible. The Irlen screening process was the most fascinating with hours of my life! During the testing, when Regan was able to read the way a normal person does for the first time with her Irlen-specific color overlay, she burst into tears. Her screener and I did too. She had never seen the written word like we do before. It was like the videos you see online of the deaf child who hears his mother’s voice for the first time. Absolutely priceless! We still get emotional when we think of that moment. I think we always will. Regan’s diagnosis was life-changing for her in every way, but also a little terrifying. As grateful as we are for the diagnosis and her Irlen lenses, we know there is a lot she has missed out on over the years. She and I both want to prevent other kids from going through what she has gone through since elementary school. Also check out the Irlen colored overlays app for Android devices. Irlen syndrome affects 14 percent of the population and is more common than asthma and heart disease. Irlen syndrome impacts the brain’s ability to process visual information, affecting daily functioning. 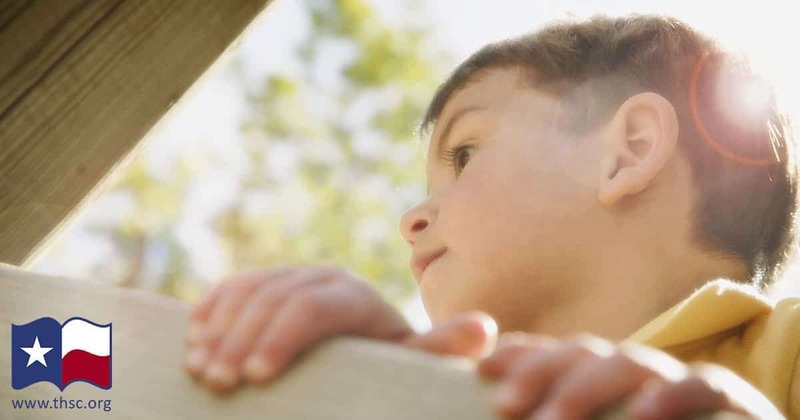 Irlen syndrome affects millions of people of all ages and ethnicities worldwide, but it is not yet identified by standard educational or medical tests. It affects 46 percent of individuals with reading and learning difficulties and 30 percent of people with ADHD and autism. Without testing, most of these sufferers remain unaware of the true source of their problems and may instead be diagnosed with ADHD, dyslexia, behavior or psychiatric problems, while Irlen syndrome goes unrecognized. Irlen syndrome has also increasingly been linked to a significant portion of individuals with brain injury, chronic headaches and migraines. Failure to identify and treat Irlen syndrome can have severe consequences ranging from academic and workplace failure or ongoing physical and emotional symptoms to increased likelihood to enter the criminal justice system. Up to 80 percent of our prison population may have Irlen syndrome. Since my daughter’s diagnosis and seeing not only the physical changes but the mental and emotional effects that Irlen syndrome has had on her, I have made it my personal mission to inform the public about it. Not one child should ever have to suffer like Regan did because they did not know about Irlen syndrome! I have started a Facebook group called The Irlen Syndrome Parent Connection which is focused on raising awareness and giving people a platform to connect, share their stories, ask questions and find out information. We have well over 1,000 members from around the world in just weeks of the group being started. I am working with the Irlen Foundation in California to raise funds and award scholarships for kids and people who can’t otherwise afford the testing and lenses. Health insurance does not cover the cost of Irlen testing and we want to help make it not only available, but affordable for anyone who needs it. Please visit our Facebook group for more information and insight on Irlen syndrome. You may also contact me with questions via Facebook or by leaving a comment below. At THSC, we believe that the best place for children is in a home with loving parents and that parents should be empowered to raise the next generation of leaders. If you’d like to see more articles like this, subscribe to THSC’s Special Needs Nook or partner with THSC in reaching more special needs families by donating today! Janelle Martin, a Texas mom of two, has two degrees in biology and accounting and is an avid scrapbooker, sports fan and advocate for Irlen syndrome. For years my daughter always underperformed in school. At the end of 1st grade she took the placement tests – Math/kindergarten 1st month & Reading/Kindergarten 3rd month. I transferred her to a new school district where I worked. They “unofficially” tested her and worked with her because I worked with both department heads. One of the things she was tested for was Irlen’s. They said she tested positive – but couldn’t officially diagnose her or give her official accommodations because this wasn’t don through her doctor or formally “through the proper channels” BUT they talked to her teachers informally and she got all the accommodations afforded to someone who was “diagnosed. Within 6 months she was caught up to the 2nd grade level – the bottom of the level – but on level no less!!! 5th grade she transferred back to our school district. Since she had learned how to deal with Irlens, she began to read and loved it and had no problems. Fast forward to High School. 1oth grade we were going over her final course selections for junior and senior year – especially since she was taking Dual Credits and were talking with the school counselor and somehow we got onto accommodations for college. And it dawned on me – we hadn’t used any accommodations since her old school because she did them at home. So we got lucky – the counselor we were talking to was the Irlen’s screener for the high school. So she tested my daughter. She still showed “traits” – apparently the things her old school taught her stuck with her and she didn’t do as bad as before. She also changed colors. The counselor said this often happens – age, time, adaptions to and learning how to deal with it can make the changes. This time the counselor put a notation into her official record. She was afforded accommodations for longer testing time, testing in the testing center. If she was struggling she could have questions read out loud to her. The counselor went on to write a letter for my daughter to take to the college. We contacted the department heads that I worked with/that tested her and they wrote a letter also – to establish that even though she didn’t have official diagnosis through doctors – she had a history of being treated for it. She took these letters to college and used them and received the same accommodations. She’s since graduated with a Bachelors of Science in Marine Biology and TWO minors – Diving Technologies and Psychology. She was also accepted to a college that has the only zoo on it’s campus and the zoo is run by the college students in their Zoo Technology program. (Whereas all the other schools usually contract out with the local city zoo). She is in her 1st semester of that program. She just took the advancement test to see if she moves on or has to restart. She got a 49/50!!! There IS hope. Don’t give up!!! That’s awesome, Janice. Thanks for sharing! Help I am pretty sure my daughter and her daughter has Irlens. She will probably not be able to afford to do anything about it. Her daughter has been diagnosed with dyslexia. She is almost 14 and i feel she will fall through the cracks as she is doing very poorly at school. Is there any program that might help her. I think the best place to find local resources that might be helpful to your daughter could be found by connecting with families that have similar needs, or are local to you. 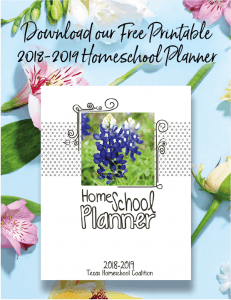 SPED Homeschool Support Group and their resource page is a great way to locate resources and ideas.